Sawdust City offers solid wood kitchen hutches, made in Eau Claire, Wisconsin. Pine country hutches make for great storage furniture anywhere you want décor and display. We offer small and large wood hutches to fit your space, and a variety of styles such as: shaker hutches, corner hutches, and a decorative birdhouse hutch. Choose from over 40 color choices! 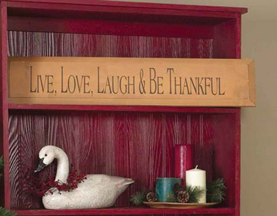 Use as a cute bathroom hutch, or try one in the entryway for extra storage! If you don't find what you're looking for, we can also build custom hutches made to order.